Yesterday, Facebook announced its quarterly result which was expected to be as boring as all quarterly calls usually are, but thanks to Wells Fargo analyst Jason Maynard who went on to ask Mark Zuckerberg about the much rumoured Facebook Phone. And in a reply to that question, the Facebook CEO said that the Facebook phone ‘wouldn’t make sense’. We want to not just have apps that people use but also be kind of deeply integrated into the systems as possible. We want to support a development ecosystem, where other apps can build on top of Facebook. So that’s why you’ll see us do things like support Apple in the iOS integration that they wanted to do. There are a lot of things that you can build in other operating systems as well that aren’t really taking – that aren’t really like building out a whole phone, which I think wouldn’t really make much sense for us to do. Well it is to be noted that with 543 million users who access Facebook from mobile, it does make sense that Facebook might be truly interested in bringing out its own smartphone, but Mark is denying the fact that such a smartphone is being built by the social networking giant is a blow to all the past rumours that were doing the rounds. But then nobody has said that Facebook is making the phone, instead it has roped in HTC to build it for the company. What we could see on the Facebook Phone is a deeper integration and a forked version of Android OS built from the scratch. Facebook has lately been deeply integrated into Apple’s iOS and a custom Android version would not surprise us on an HTC built smartphone. 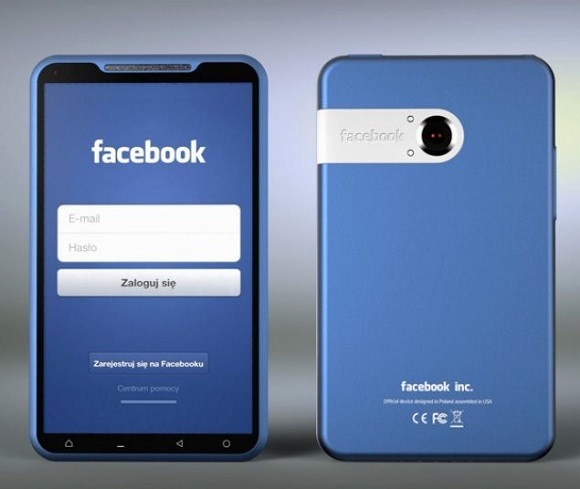 Whatever it may be, for now Mark has disagreed with such a Facebook Phone being made but we have seen just a couple of days ago that the smartphone has been delayed until mid-2013 and it would definitely have been too early for Mark to make things official. What do you think? Will Facebook bring in its own smartphone? Also would you buy one?